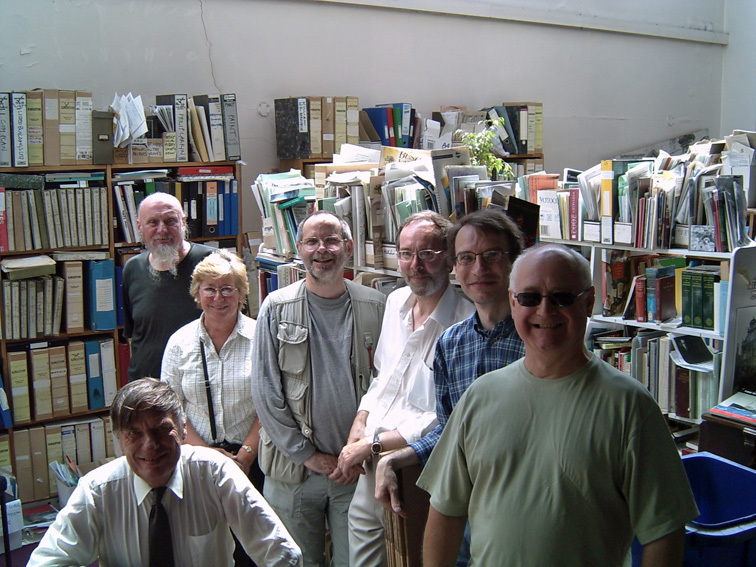 Volunteer archivists working with the now defunct Hull Local History Unit. They have since founded the Hull & District Local History Research Group. A history of the Unit was published in Local History Magazine No.109 (July/Aug 2006). There are many local history societies with archives who are in need of advice and support if their collections are to be properly conserved and who do not have access to the web or digital storage facilities. Of no less importance are the records, publications and periodicals of local community associations and other local voluntary groups, including campaigning groups and residents’ associations. To date not enough has been done by libraries, museums and archives to work actively with local groups at the grassroots level, although in my experience they do respond postively when asked for advice or assistance. All kinds of local groups need to be made aware of the National Directory of Community Archives in the United Kingdom and encouraged to care for and conserve not only their records, but also their newsletters and other publicity material as well. This also includes cataloguing documents and artefacts. There must be simple techniques that can be shared with all local voluntary organisations via their respective umbrella groups. In the absence of paid outreach workers at a county level, able to talk directly to local groups, then the next best thing must be to seek and then train volunteers to cover smaller geographical areas, who can not only talk to community activists but also show them how they can practice basic conservation and storage techniques at minimal cost, until such time as they are ready to deposit their archives with the nearest local studies library or archives office. These volunteer, peripatectic support workers could also plug themselves into the local directories of speakers which exist in almost every county and are used by all kinds of local groups. This is another way to reach not only local activists, but also the members and others who attend their meetings. This is something which I regularly advocated during the twenty-two years I was News Editor for Local History Magazine (1984-2006) and it was based as much on my experiences as a community activist as it was on what I have learned as a local historian and my years as a councillor, during which time I chaired the then Midlands Area Museum Service, and from what my wife and partner, a museum professional, was always telling me (and still does) – that caring for collections is as important as putting them on show. If you don’t properly catalogue and care for your collections, then the time will come when you won’t have any to display! All too often local records are in the care of one individual and when they leave a group, or die, the records are lost. Encouraging local voluntary groups to be part owners of the community archives movement is a good way of ensuring a growing awareness among not only activists, but also among a wider public as well, of the importance of caring for and conserving their records however recent they are. The alternative to this partnership approach will smack of patronage and establishment do-gooding, which will result in many local groups being suspicious and excluding themselves. I just hope that the community archive movement becomes one where the grassroots are more than ‘consulted’ and local groups, through their own volunteer peripatectic support workers, actually play a large part in how the movement develops during the coming years.